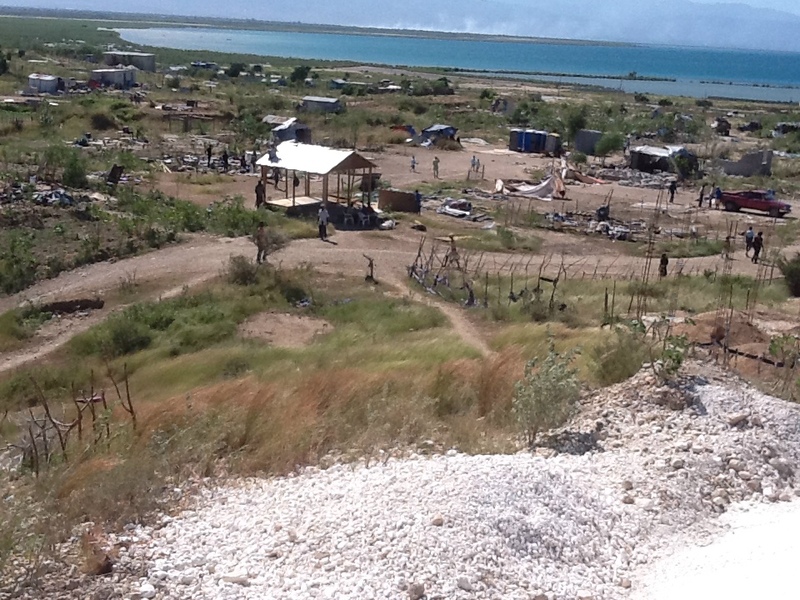 Forced evictions are still going on in Internally Displaced Camps in Haiti. This one, in Vilaj Mozayik, resulted in at least 6 people being injured, including a pregnant woman. Residents of the Haitian camp Vilaj Mozayik were rudely awakened Saturday morning to the sounds of yelling and fighting outside their makeshift structures and tents. It seemed like a bad dream to the residents who had settled here after fleeing Port au Prince in search of safety from evictions. Violence erupted moments later, injuring at least six residents of Vilaj Mozayik, including Sheila Joachim, who is four-months pregnant, according to a source close to MCC. 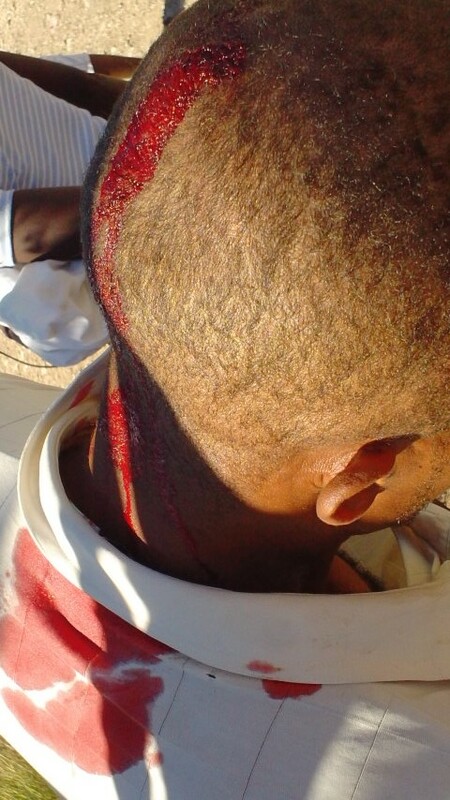 “[The police] hit me with a baton before I could run away,” Joachim said. The unit responsible was UDMO, the specialized Haitian police unit in charge of maintaining peace and order in during riots and other public disturbances. Along with the police was a justice of the peace, who stated that the rightful landowner needed everyone off of his property, immediately. Residents said they were never served any eviction papers. By the end of the day, 60 homes were destroyed. Two days later, on December 9th, heavily-armed police forces returned to Vilaj Mozayik with at least five bulldozers and evicted the remaining 140 or so families from their homes. There is growing concern of the unnecessary use of excessive force and lack of complaint mechanisms for Haitians living in similarly precarious conditions. No one was injured this time, as residents could only watch in horror as their belongings were strewn across the fields, leaving the families homeless. With no place to go, many of the families slept out in the open by the side of the road. This is not new for residents of Vilaj Mozayik. 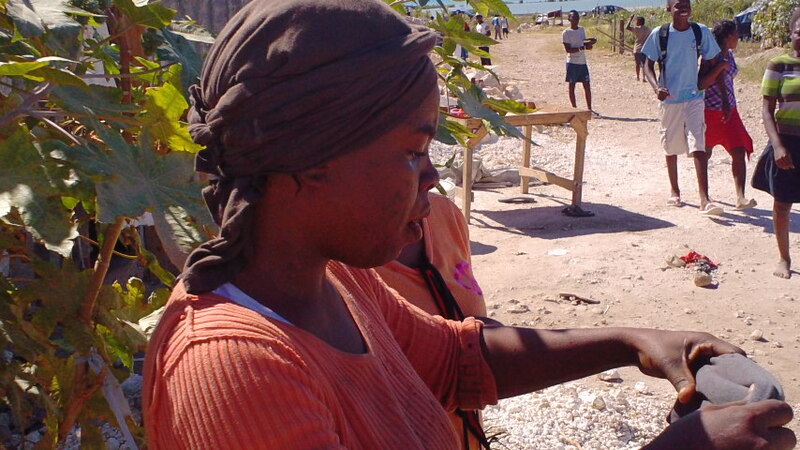 Immediately after the earthquake of 2010, members of this community were officially recognized as an Internally Displaced People’s (IDP) camp site on Delmas 30 in Port au Prince, Haiti. In May 2012, after a series of fruitless negotiations, the land-owner of this property had all 200 families forcefully evicted. They moved their make-shift shelters to Lanme Frappe, Canaan on Route Natoinale 1, across the road from the ocean. During the move, they were assured that the former President Renee Preval declared the land available for public use. A little more than a year later, however, they once again faced another eviction and are at risk of living on the streets or squatting on another piece of land. With no place to go, community members of Vilaj Mozayik and IDPs are seeking assistance in the form of advocacy and assurance from the authorities that they will have a safe place to settle. They are a people without a home, moving from one place to another, and have formed a strong bond of friendship among themselves as they traverse from one site to the next. 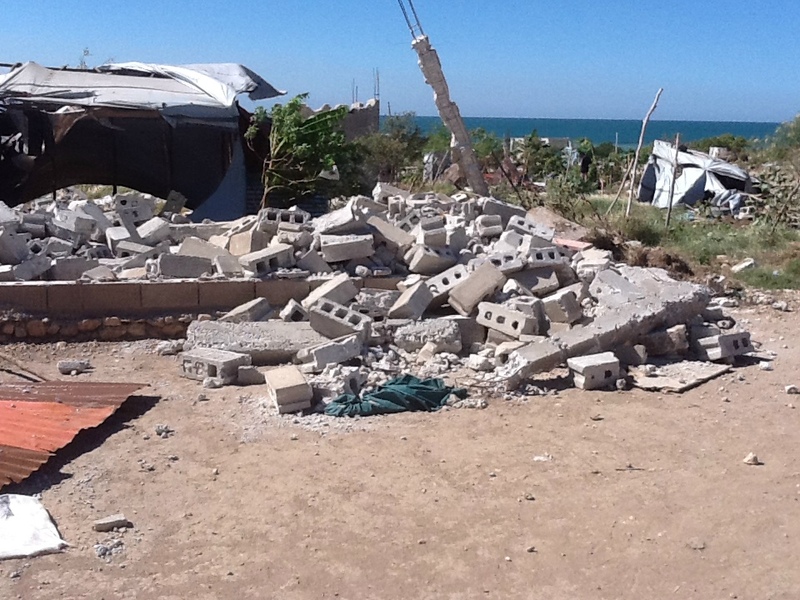 Evictions like this have happened with regularity in Haiti since the 2010 earthquake. If you’re looking for ways to get involved, check out Amnesty International’s campaign to end forced evictions in Haiti and ensure the safety of IDP settlers seeking a safe place to live.